The racquet I am reviewing currently is the HEAD Graphene 360 Speed Pro. I am using this together with the HEAD Zepp Sensor. it is a very interesting test for me as I have never properly used a sensor before, and I have also heard good things about the HEAD Graphene 360 Speed Pro. 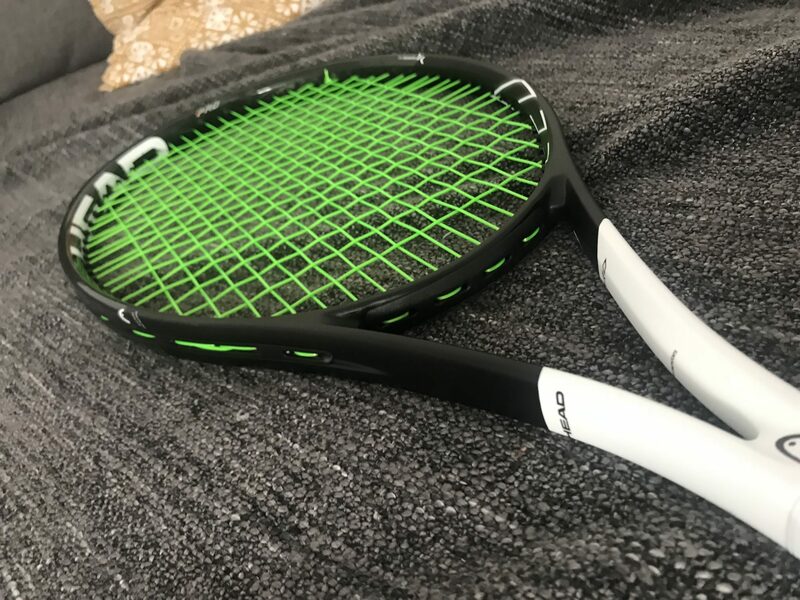 The HEAD Graphene 360 Speed Pro is an update to the HEAD Graphene Touch Speed Pro , which I thought was a decent racquet but nothing outrageous. With the Graphene 360, there is more of the Graphene material around the hoop, the beam is slightly thicker and it has a somewhat lower stiffness rating. Looking at the specs I was instantly curious about the HEAD Graphene 360 Speed Pro. Somehow I always get a little excited when I see a low RA (stiffness) rating on a new, thicker beamed, open patterned frame. Talking about open pattern, the HEAD Graphene 360 Speed Pro has a bit more space in between the cross strings to create more spin. Something I recognize from my Babolat Soft Drives, who share some characteristics spec-wise with this new HEAD Graphene 360 Speed Pro. Especially the HEAD Graphene 360 Speed MP which has the open 16×19. The Speed Pro has the more closed 18×20 and ten grams more static weight. As you can see – quite an interesting balance. My racquet ended up like this strung with Solinco Hyper G at 24 kg: 330 grams, 32,3 cm balance. Exactly the kind of spec I enjoy. However I will try to add some lead tape to 3 and 9 to see if that helps solve some slight instability I felt when hitting outside the sweet spot. On first hit I really felt like I could hit the ball with all my strength and still find my targets. The racquet moved quickly through the air with its lower swing weight and still power was there if I managed to get it moving enough. If you do not have a fast swing speed, I think this racquet needs to be beefed up a bit with lead tape to provide the power you need. The racquet felt nice and stable on volleys and slice shots and the string pattern was close to perfect in the way it allowed me to hit with spin, but also allowed flatter shots to remain consistent. I did really enjoy swinging out with the racquet, but there was some instability if I did not hit it in the sweet spot, but I think some lead tape will mitigate that. I did not find enough power on my flat serves in stock form to be wowed by this stick, but I did enjoy brushing up on the ball and being create with my placement. The HEAD Graphene 360 Speed Pro really encourages creativity since it is so light and fast to swing. Touch shots is something I am still trying to find my feel on. It is definitely not a Prince Phantom 93P where I feel immediately connected to the ball, but with a few more hours with this racquet I will start finding my drop shots and touch volleys. I will keep you posted on my progress with the HEAD Graphene 360 Speed Pro , but I can already say that it is a definite improvement over previous editions and my favorite Speed racquet yet. It really makes sense of the name. Have you tested the HEAD Graphene 360 Speed Pro? What did you think of it? Please comment below! 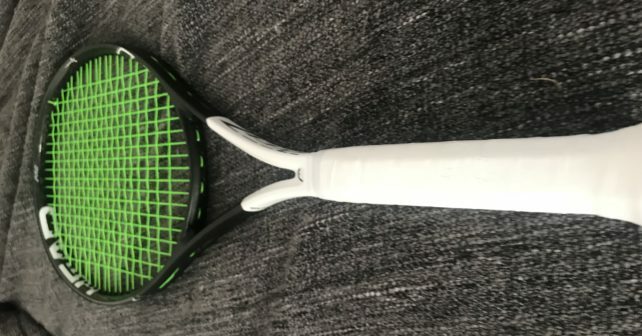 How does this racquet compare to the Prince Phantom Pro 100p? Are the power/spin levels similar? I’m looking to get a 100in² racquet and want stability, maneuverability and feel. I can generate my own power and racquet head speed. I play against heavy hitters exclusively on clay (so a lot of baselining) and have a counter punching style, hitting with heavy top spin on both wings with a modern, whippy forehand. Any recommendations would be appreciated. Thanks for an interesting pre-review. I think the racquet will grow on you. I have now played long enough with my Speed 360 MP to have made the switch from the erlier version as my #1 match choice. With my style of play, and swing, these sticks hit the spot, so I will stick with it and won’t look back. Nothing is perfect but hours on the court will make you! My only worry about the Speed Pro is that the swing weight seems low. My current frames, Pro Staff 95 and Pure Strike 16×19 are each weighted up to a swing weight of 330g. The Pro Staff has a higher static weight +- 347 grams. You mentioned in the review that the racquet showed hints of instability, so probably best to add weight at 12 and in the handle to maintain balance with the least impact on twist weight/maneuverability? Where would you add weight on this frame? If possible, you should publish Swing Weight specs also. 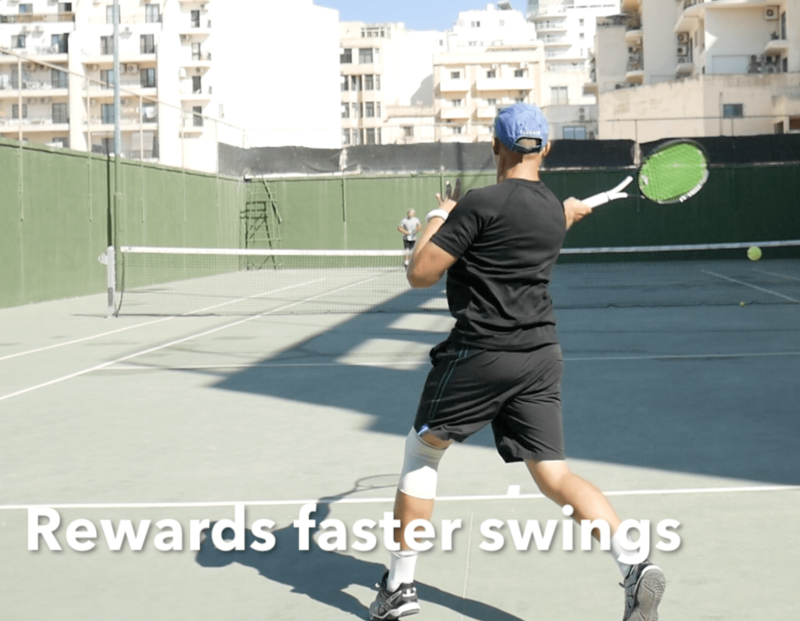 It is an important information that, together with the balance point (center of mas) and the static weight, define the basic swing physical dynamics of the tennis racquet. With these three variables, it is also possible to calculate if a given spec (swing weight, static weight and balance point) may be achieved thought lead tapes and such. For instance, I have a given spec which I prefer to use, and I have been currently trying different racquets with the same specs, as to compare different “feels”. I currently play with the Tfight 315 ltd 16M @ 362g static weight. Completely different from stock version and much closer to the Head i.Prestige MP and the Wlson Pro Staff RF97A. I have my racquets tuned for mgr/I also, and swing weight must be included in these calculations. Hi, I’m testing the 360 graphene speed pro coming from the Babolat Pure Aero Tour (PAT), so in terms of swingweight quite a change. (10gr). – Depth: Oh boy, I need to change my stroke to get more depth compared to the PAT…especially on back hand side. Nice mini-review, Mark! Agree that to get good depth with this racquet you really need to swing out! But the PAT is difficult to control without adding lots of spin on your shots. Agree about the swing weight and still curious about how the racquet reacts to modifications. I think weight at 12 works better than 3 and 9. I have only tried 3 and 9 so far and I wasn’t happy with it because it made spin harder to achieve. Thanks Joakim. I think the MP is better if you like a little more spin. The launch angle on the Pro is relatively low. Agree that nothing is perfect and it is all about putting in the hours on court! Shame about your ankle injury. Also use the Asics 7s…hope you get well soon! Also, very interested to hear your thoughts on the zepp sensor. Thinking of picking one up, hoping it will be a great training aid. Are you planning on reviewing it? It is an interesting aid. Could be better, but worth a shot. I would guess it is the best sensor yet since it doesn’t add much wait or protrude from the racquet. The review is up! i bought this racket a few weeks ago, when i demod it,it felt grate! Before i played with a Babolat P-Drive 2018 but i felt i was overhitting and could not find my targets. So i wanted a racket that still got spin and little power, but with more control. I don’t get that pop in my serve anymore. Did i make a wrong choice white this racket? can i do something whit it? maybe its to heavy for me? I think the racquet should be pretty much what you are looking for, but if you want a bit more power you can string it lower. Or add some lead tape at 12. Two grams should be enough. If you want a slightly low-powered racquet than the PD 2018, you can check out the new Babolat Pure Aero. That is a power racquet with great spin, but it is slightly less powerful and more comfortable than the Pure Drive 2018. I have one for sale if you are interested.